The Beatles famously played the Cavern Club an astonishing 292 times.Over fifty years later and the Beatles are bigger than ever. 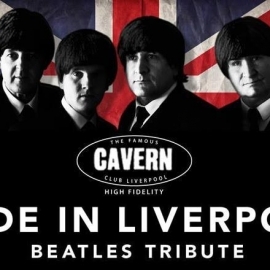 Every day at the Cavern we celebrate Liverpool’s most famous sons, alongside the other iconic artists to have graced the stage, but we always like to finish the weekend with one of our regular bands paying tribute to the Fab Four. Come and re-live that magic atmosphere in the place where it all began and enjoy those timeless classics that will last another fifty years! Made in Liverpool, originally The Fab Four were the first Beatles tribute band to play the Cavern Club when it re-opened and are mentioned in music writer and Merseybeat historian Spencer Leigh’s book ‘The Cavern, The Most Famous Club in the World’. Born and bred in Liverpool the band perform in venues throughout the world and are Sunday regulars at the Cavern Club. Their performance as The Beatles is uncontrived, mind blowing, exciting and not to be missed! Like John, Paul, George and Ringo Made in Liverpool are all Liverpudlians and they truly sound like the Fab Four. Their Thursday shows attract a regular following, some who have travelled from as far afield as Europe and The United States. 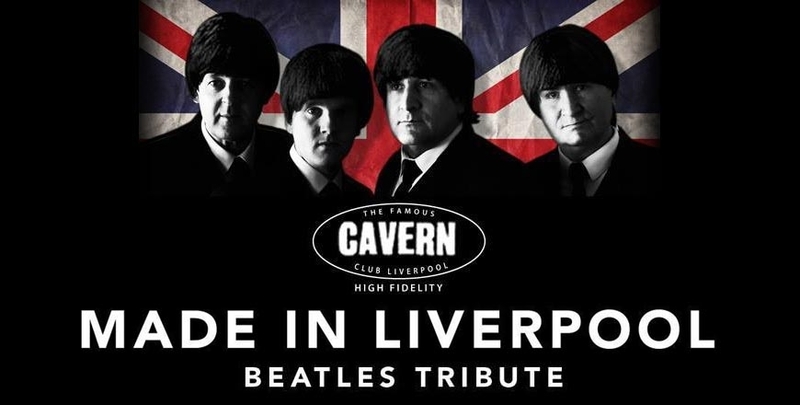 Come on down to The Cavern and enjoy an experience you’ll remember, from a world class Beatles tribute band, playing the music of the four lads who shook the world, where it all began, in the most famous club in the world.